Amazingly simple and one of the most delicious Italian dishes out there, this chicken parmesan recipe will have you wondering why you never made it before. Serve this with your favorite pasta and sauce for a really special treat. Simple, you bread the chicken, fry it for two minutes on each side, then toss it in the oven to finish cooking. 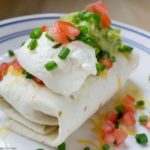 Cover with a delicious marinara or alfredo sauce and chow down. 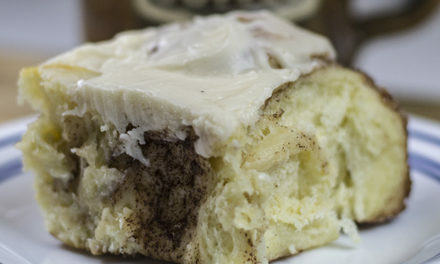 There is a little more to it than that of course, but it really is a pretty simple recipe and a favorite for many. 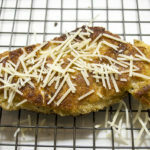 A chicken parmesan cutlet fried to a perfect golden brown then baked with both fresh parmesan and fresh mozzarella cheese. Served with marinara sauce. Breading the chicken isn’t all that hard but what gets me is that you waste so much flour and breading when you make any breaded dish. 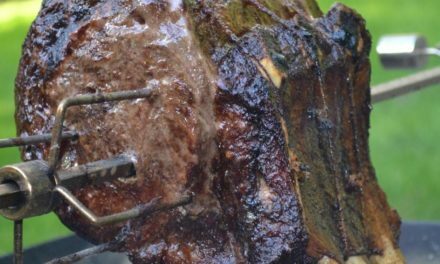 The problem is that when you dip the raw meat into flour or breadcrumbs, anything left over needs to be discarded because the raw meat will contaminate it. 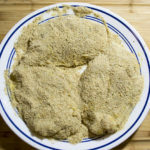 When I was researching parmesan chicken, I came across Chef John’s recipe and video on AllRecipes.com. He had an interesting method for breading the chicken that saved a little flour and breadcrumb waste. Instead of dipping the meat into the flour, you spice the chicken on both sides then sprinkle flour on each side. 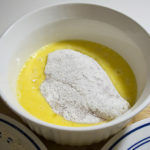 Then the cutlet can be dipped into the egg wash and then placed on a plate that has a thin layer of breadcrumbs on it. Then sprinkle more breadcrumbs on top and make sure the chicken is well coated. I tried this method for this post, and it does seem to save a little flour and breadcrumbs. Let’s face it, with today’s food prices, why waste anything? 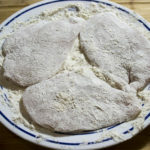 Breading chicken for chicken parmesan. 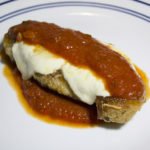 What sauce is best for chicken parmesan? 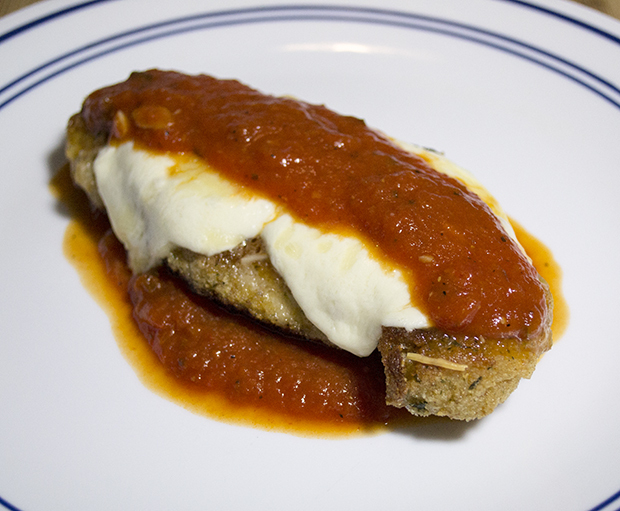 Traditionally, chicken parmesan is served with a marinara sauce. In my family though, we love creamy sauces. My first inclination was to use a creamy tomato sauce, but when this idea was mentioned, I instantly gut the yuk sign from my family. 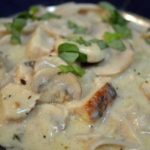 So here is my alfredo sauce recipe, should you choose to use it. I usually prefer a creamy sauce over tomato, but chicken parm is the one exception to that. Something about the breading and the cheese that the tomato sauce really compliments. Creamy flavorful Alfredo sauce. For pasta and more. 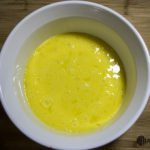 Melt butter in a saucepan over medium heat and add cream and simmer for 5 minutes. Add garlic and cheese and whisk quickly, until cheese is blended. Cook on low heat till blended. Serve with pasta, chicken, pizza or anything you like. Many people prefer to bake their chicken parmesan rather than pan fry it. 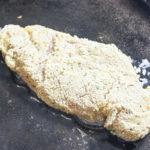 The methods I have seen for this are not that much different than pan frying the cutlets, but all in all, you probably use less fat by baking the chicken. Many of the processes for baking use the same flour, egg, and breadcrumb dip. 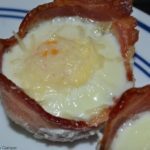 Here are a few I found on the web, personally, I’ll stick to pan frying. 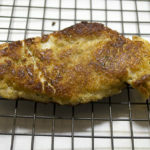 One method I found on Epicurious roasted the cutlets at a high heat. The cutlets are breaded placed on an oiled baking sheet and roasted for 6 minutes. The filets are then turned and roasted another 6 minutes, then cheese-topped, and baked until the cheese is melted. The key to this method is to make sure the cutlets are cooked to 165 degrees F. so check them with a thermometer. Another method for baking from AllRecipes calls for preheating the oven to 350. 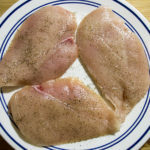 Then you dredge the chicken, as usual, and place it on a baking sheet that has been prepped with cooking spray, and then spray the chicken as well. The cutlets are then baked for about 40 minutes. After 40 minutes, the chicken is topped with cheese and sauce (if desired) and then baked another 15 minutes. Again, you should check to make sure the chicken is cooked properly to 165 degrees F.
Chicken parmesan with fresh mozzarella and marinara sauce. Chicken parmesan is always served with a sauce, typically marinara sauce, and a pasta. For this recipe, I like to serve fettuccine but people often use spaghetti noodles, linguini or whatever you prefer. You can place the chicken cutlets to the side of the noodles or on top and add more sauce to the noodles. 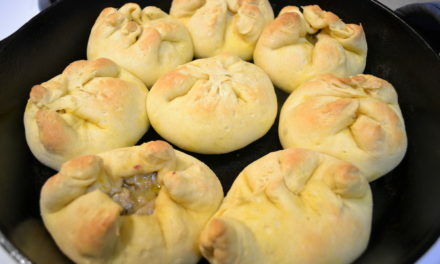 Some garlic bread always goes great with any Italian meal. As for vegetables to serve with chicken parmesan, I prefer broccoli or spinach, but Caesar salad is also really good. Making chicken parmesan outdoors isn’t any different than making it in your kitchen. 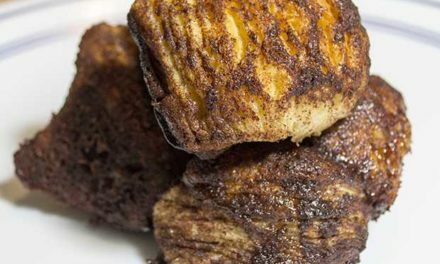 You need to bread the cutlets, fry them for a few minutes in a cast iron skillet then, cook them in a Dutch oven at a high temp for about 10 to 12 minutes. I do not recommend trying to do this in one pot as they may become soggy from the oil during the frying stage. You should also try to keep the cutlets elevated during the baking stage so that they do not burn on the bottom. When I make these in my oven, I place them on a rack and then on the baking tray, this helps keep the cutlets crispy. 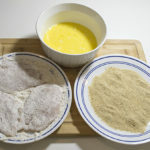 Also, to make it easier during a camping trip, the cutlets can be breaded ahead of time, then cooked when you are ready. Just be careful if you put them in a cooler so that the breading does not fall off. Chicken parmesan with marinara sauce and fresh mozzarella and freshly grated parmesan cheese. If your chicken breasts are large and uneven you will need to pound them with a meat hammer. This will level out the meat so that it cooks evenly. It only needs to be about a half inch thick, so don't pound it too hard. To pound the meat, place it in a ziplock bag or in between two pieces of plastic wrap and gently pound it until even. Salt and pepper both sides of each filet to taste. Sprinkle about 2 tablespoons of flour on each side and coat well with the flour. Beat 1 egg until well mixed. Place a thin layer of breadcrumbs on a plate. Reserve more for later. Dip the first filet in the egg and coat thoroughly. Place egg washed chicken filet on the plate with breadcrumbs. Repeat with as many filets as will fit loosely onto the plate. Sprinkle the tops of each egg coated filet with a generous amount of breadcrumbs. Coat evenly on both sides of the filet. Set filets aside in the refrigerator until ready to prepare. Heat up a skillet over medium-low heat with about 4 tablespoons of olive oil, or enough oil to coat the bottom of the skillet. Also, preheat the oven to about 425 to 450 degrees Fahrenheit. When the pan is hot, place filets in the skillet. They should sizzle when they hit the oil. Cook on each side for two minutes or until golden brown. Do not overcrowd the skillet. Remove filets from the skillet and place on a baking sheet. If possible use a rack to keep the filets out of the grease and off the bottom of the baking sheet. Place about a teaspoon of freshly grated parmesan cheese over the filet. 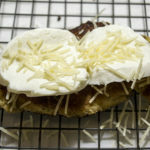 Then place a piece or two of fresh mozzarella cheese slices. Add more parmesan to the top if desired. Place in the oven for about 10 to 12 minutes to finish cooking and melt the cheese. 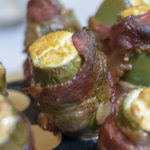 Remove from oven and serve immediately with marinara (or alfredo) sauce and your favorite pasta.